Dream with me for a second: wouldn’t it be nice if you could simply right click a file and pick an option that instantly copied the contents to the clipboard? Or can imagine adding new applications to the right-click menu? Okay, maybe that’s not the idyllic dream you had in mind but it could still help. 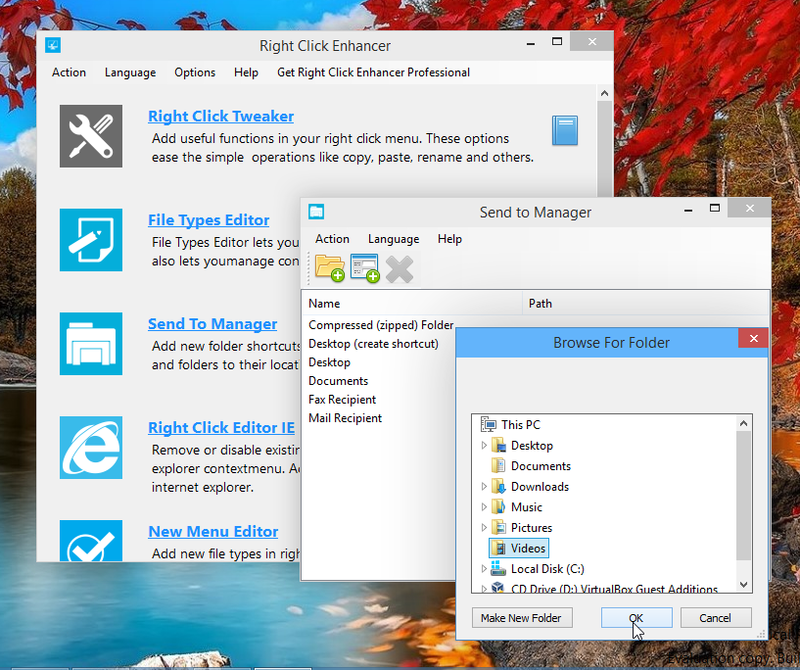 Once upon a time people had to putz around with obscure registry settings to tweak the right-click menu; however, now you can beef up the right-click menu with a free and simple productivity tool called Right Click Tweaker. Let me show you what I’m talking about because it’s time to beef up your right-click menu. First we need to get the tool. 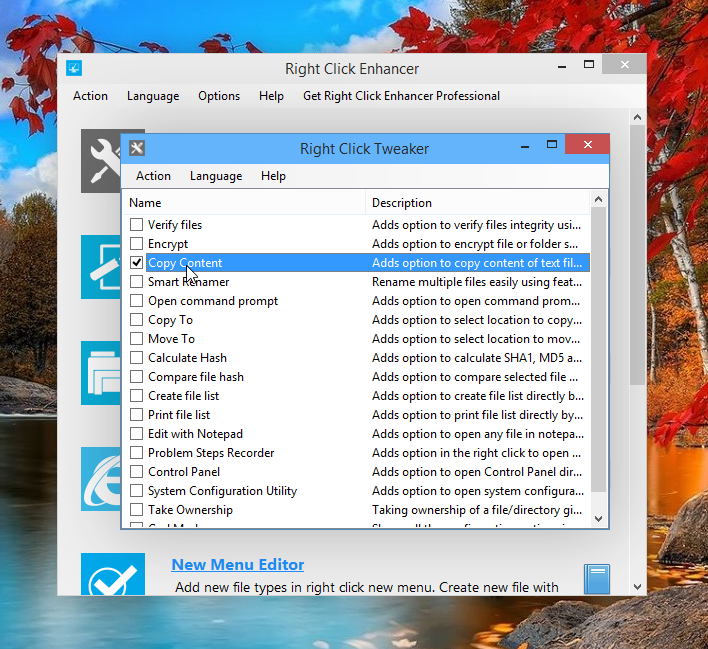 Visit http://rbsoft.org and download the latest version of Right Click Enhancer. RBSoft offers a pro version for $10 bucks but we’ll skip that for now. Just grab the free one. 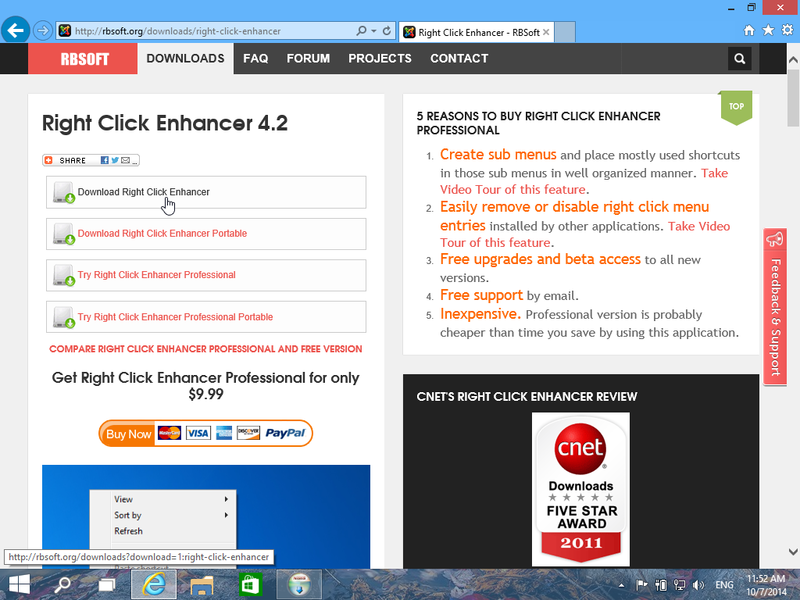 Right Click Enhancer comprises a suite of seven free tools but we’re only going to use two today: Right Click Tweaker and Send To Manager. Open the application and click through the installation. I didn’t notice any sneaky offers or malware bundled in the setup file so I think you’re safe to click your way through to the finish. Now go ahead and give it a whirl; fire up Right Click Tweaker. You’ll see almost two dozen actions to add to the Start Menu. I encourage you to take a few minutes to browse through the list and read the descriptions to see if there’s something in there you think could boost your productivity. Let’s start with Copy Content. Copy Content is pretty slick. 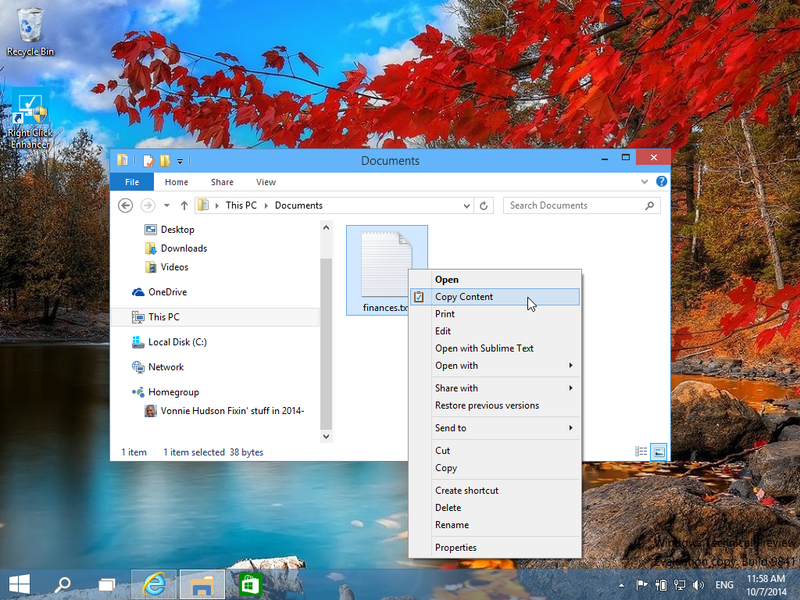 It actually lets you copy the contents of a file without ever opening it. 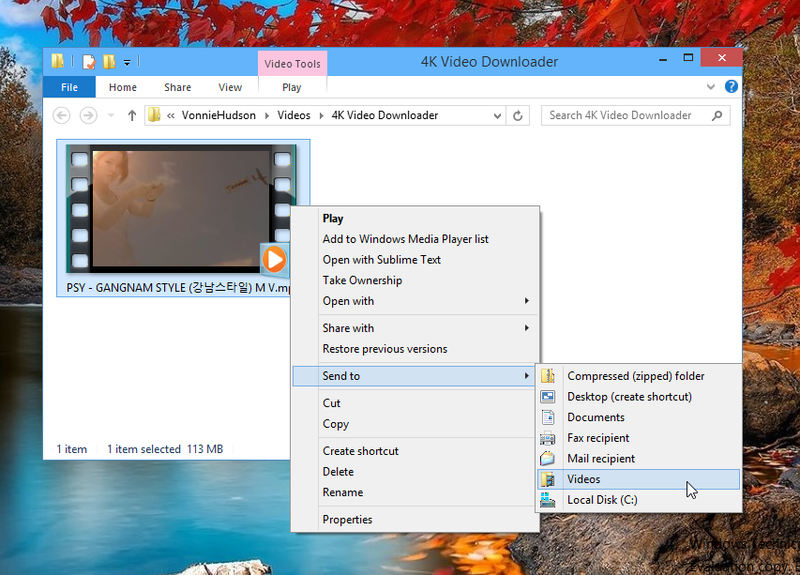 When you right click a file and choose Copy Content, Windows stores everything in that file on the clipboard which you can then deftly paste into another document or file. When you find all the right-click tweaks you want to add, just close the Right Click Tweaker and Right Click Enhancer windows. This counter-intuitive action automatically saves the registry settings behind the scenes so closing the application commits your changes. I know, I know, this sounds like a note a bad employee would get from the Human Resources department from goofing off on the job. Seriously – it has nothing to do with management. Man, I’m full of cheesy jokes today. Alright, don’t laugh that was stupid. Anyway, Send To Menu is the little thing that pops up when your right click a file. You’ll see an option to Send To and when you mouse over that, several destinations emerge such as network shares, mapped drives, removeable drives or a compressed .ZIP folder. The Send To Manager let’s you manage and add destinations to that menu. So let’s say I just finished watching Gangnam Style for the 1,000th time. I’m sweating profusely from doing the stupid dance all day and now I want to memorialize the video on my computer. So I yanked the HD video from Youtube using 4kDownload but now want to send the video from its default location to my Video library. If you open the Send To Manager you’ll see a folder and an application icon that lets you add a folder destination or a file destination respectfully. If you click the yellow folder icon and then browse to your Video Library you can add the video destination to the Send To list. Great, now you can send that video off on its merry way. You can also add files instead of folders. So for example, if you have WinRAR or something similar you can shoot stuff directly to the archive without manually opening the application beforehand. 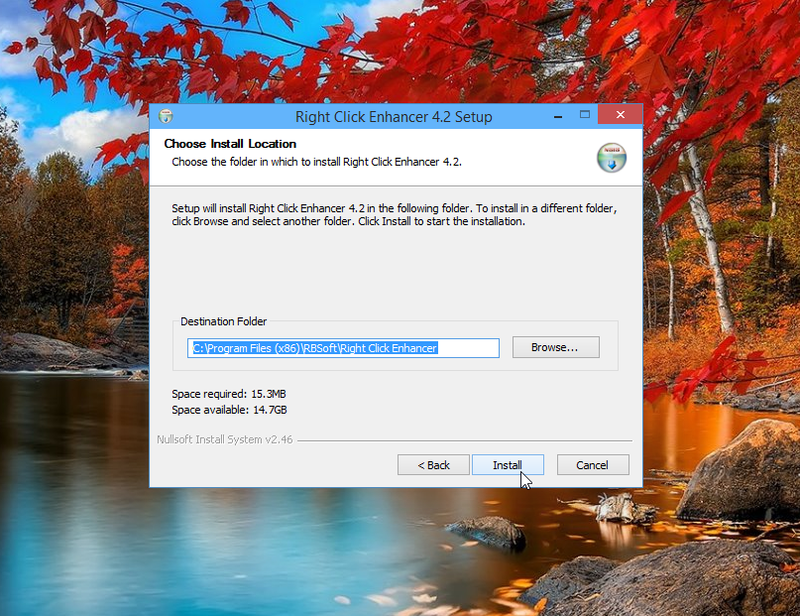 In my estimation: Right Click Enhancer is a winner. It does what it claims to do and just works. If you want to rearrange and remove your right-click options, you’ll need to upgrade to the $10 paid version; however it might be worth it if you see yourself tweaking your menus all the time. You can always download the trial before you buy to see if you like it so there’s no upfront commitments.